Do Fashion Bloggers Read Newspapers? 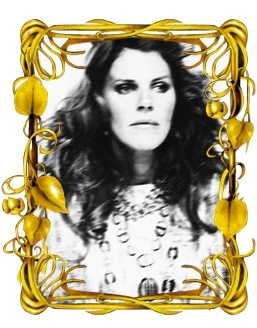 Anna Dello Russo's profile photo, courtesy her blog. I wonder if I need to do the Anna Dello Russo-version of my 2008 Kate Lanphear post. Click to read my 2008 Kate Lanphear post. My idol is still Coco. The rest of my pantheon is here. I can’t imagine getting excited over anything except a huge behind or a pair of magnificent eyebrows, but to each her own! i read the paper probably as often as i floss. HA! I DO read the paper, especially the NY Times online. I hadn’t gotten to it yet today, but thanks for the tip…going over to read this one right now! I totallly read the newspaper, WB! But not so much in newsprint, it is usually on my iMac at work. I missed this article tho! Thanks so much for sharing!!! i love anna dello russo’s style! I wonder which brands I could elevate?! I read online versions of papers. I don’t read any paper versions. But I am no fashion blogger. No I-pad here but I did do the 2008 thing and put it on my love list and bookmarked it. i still read the newspaper! well, just the sunday paper! and i will check this out! God bless my NYT iphone app. And I indulge in the NY Post on occasion, for page 6 and the sports section – really guilty pleasure. I do, but I also consider myself an academic, so reading is a must! I really love Carine of all these personalities. I read the paper as well. On Sunday anyway. HA! It goes perfectly with a steaming cuppa Joe! I buy the paper a few times a week when I head out early for breakfast, the rest of the time it’s online reading for me. Missed that article so tnx for sharing. WendyB… you make me chuckle.